Only 1-in-10 people are completely satisfied with their looks, according to an online study conducted with more than 27,000 people across 22 counties by GfK. 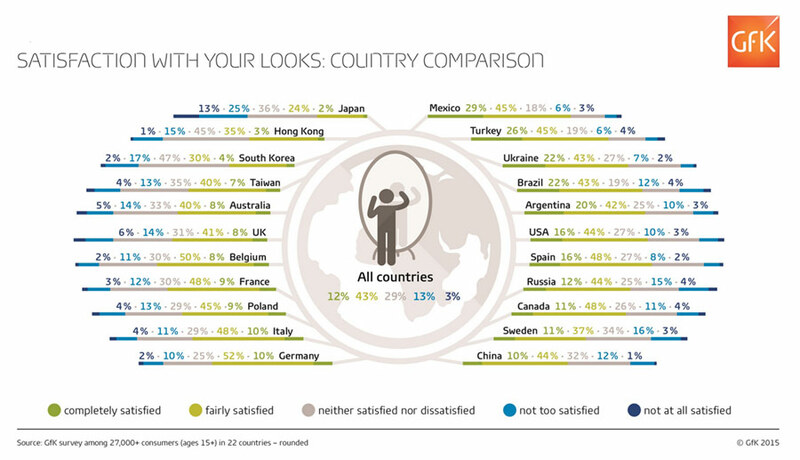 Mexico, Brazil and Argentina appear in the top five countries for the percentage of population claiming complete satisfaction. Overall, 16% of 15–19 years olds are "not too satisfied" with their looks, compared to 12–13% of 20–59 year olds not satisfied. New light is shed on the assumption that women are more critical of their own looks than men. Each gender stands at 43% being happy with their appearance. However, men are more likely to be neutral about this question, and women are only slightly more likely to be dissatisfied with their looks. These findings are key for the beauty and personal care markets in identifying trends and discovering how to connect with consumers. 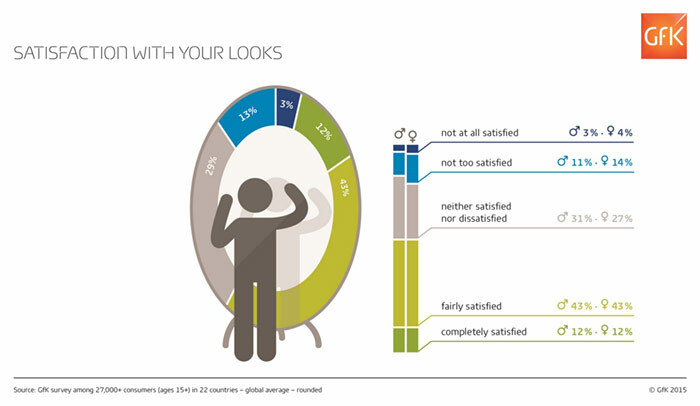 or example, GfK explains that countries less satisfied with their looks will respond more to a message such as, "Image or change your look," while those with higher satisfaction levels are more likely to respond to, "Refine and maintain your look." Find the original press release at www.gfk.com.